I wrote about a funny thing that happened when my daughter worked on a project on the corporal works of mercy. A few hours after I posted it at The National Catholic Register a reader sent me an email that I thought was really funny. Your blog on NCR today gave me a great laugh. My 8 year old son also did a project for Corporal Works of Mercy. 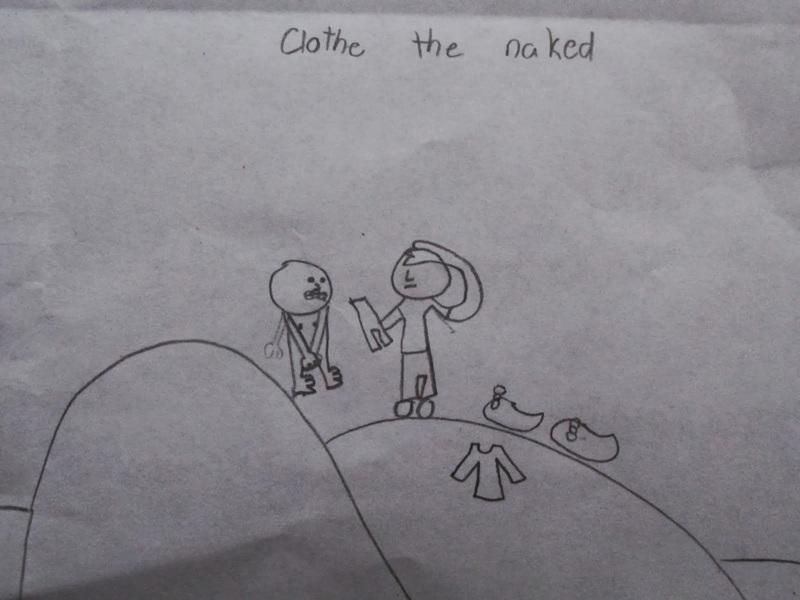 They had to draw them all and the "Clothe the Naked" was by far my favorite. It still has me laughing a week later. Thought I'd share it with you. I love it. Someone may have a future in comic strips.